Meth truly is a sickness, a cancer that grows inside of you like a demon that knows no restraint, only vivious greed. 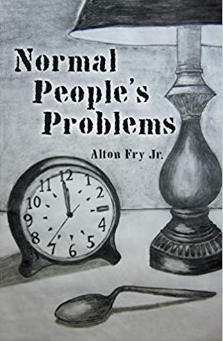 In “Normal People’s Problems,” Author Alton Fry, Jr. offers a first hand glimpse into the haunting world or meth in small town America. The book causes you to come face to face with the darkness of meth addiction in a way you never thought possible. It is the true telling of a prodical son’s return home after 18 years of hell on earth. It’s a twisted love story of biblical porportions. You will laugh, you will cry and you will come away with a better understanding of the life of an addict. This book gives hope to the hopeless. There is a way out! There is life after addiction. “Normal People’s Problems” will be showcased in the upcoming 2019 LA Times Festival of Books on April 13–14, 2019. Get your copy today. Available at Amazon and Barnes and Noble.